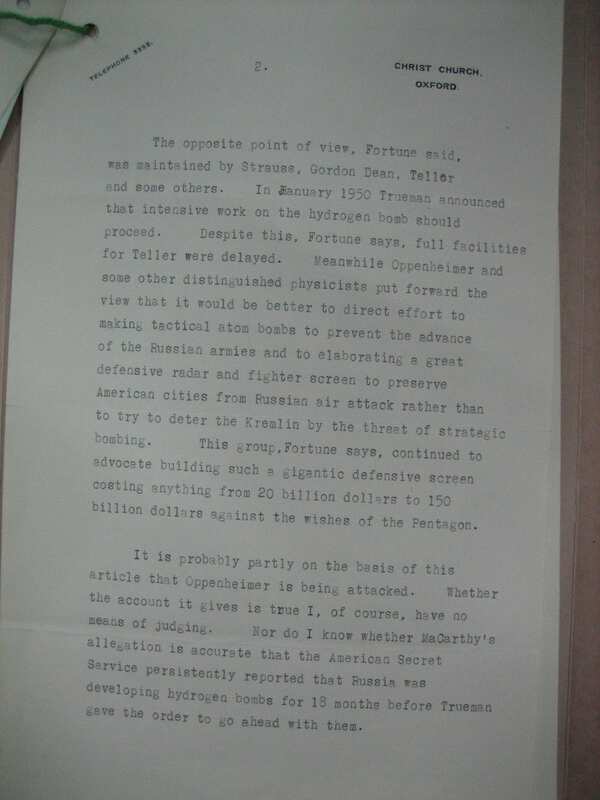 I was in the National Archives yesterday and I came across a document that shows that the Oppenheimer trial, one of the most infamous episodes concerning scientists in the Cold War, was being monitored at the highest levels in the UK. 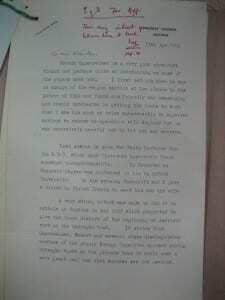 The document, a report by Lord Cherwell to Winston Churchill, at the latter’s urgent request, seems to have been overlooked in the (otherwise) exhaustive biographies of the Manhattan Project leader by Kai Bird and Michael Sherwin (American Prometheus) and Ray Monk (Inside the Centre: the Life of J. Robert Oppenheimer) and also Charles Thorpe’s insightful and focused study Oppenheimer. 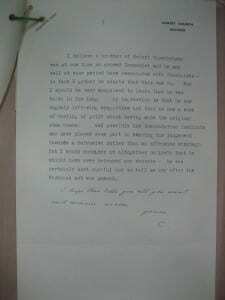 It started with a telegram, sent by Prime Minister Churchill to his close scientific adviser Lord Cherwell on the 13th April 1954. This was at the height of the Oppenheimer trial, in which enemies of the physicist, convinced that he was Communist sympathiser and angry that he had opposed the acceleration of the hydrogen bomb programme, had sought to remove Oppenheimer’s security clearance. This blow was symbolic. Edward Teller, the hydrogen bomb’s most fervent promoter, recalled in his memoirs his wish to “defrock” Oppenheimer “in his own church”. Churchill asked Cherwell: “Let me have your views on the matter I rang you about”. 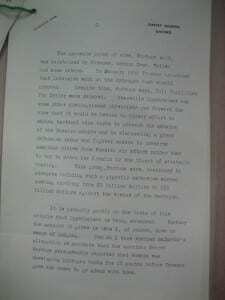 Within a day Cherwell had written his three-page memorandum, reproduced below. Cherwell had only met Oppenheimer briefly, probably three times, but was ready to offer a character assessment. 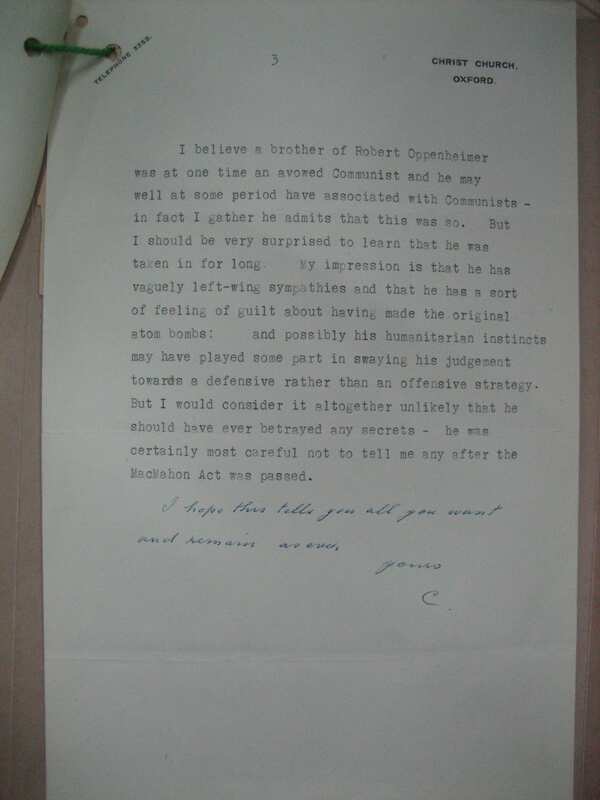 “Robert Oppenheimer is a very good physicist though not perhaps quite so outstanding as some of the papers make out”, wrote Cherwell, “I first met him when he was in charge of the weapon station at Los Alamos in the Autumn of 1944 and found him friendly and unassuming and keenly interested in getting the bombs to work. When I saw him once or twice subsequently he appeared anxious to resume co-operation with England but he was excessively careful not to let out any secrets”. 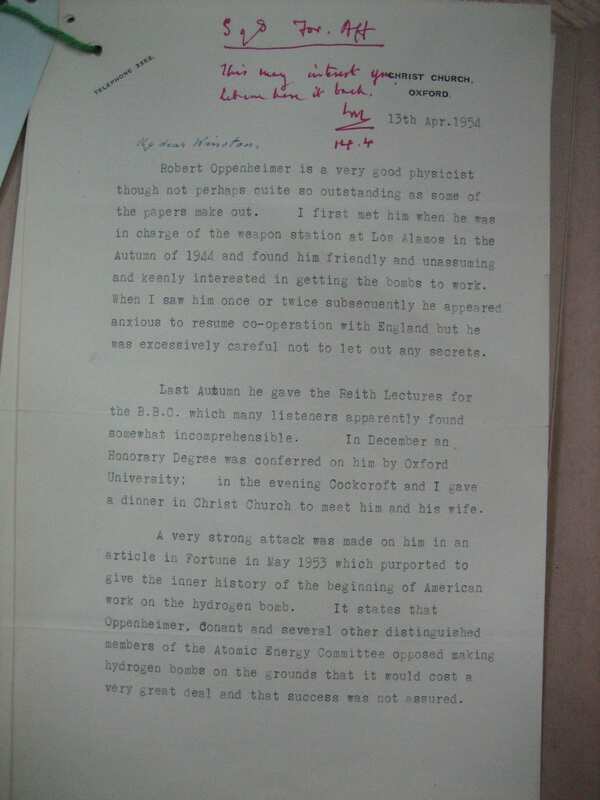 Cherwell goes on to describe an encounter at an Oxford high table dinner (on the occasion of Oppenheimer’s “somewhat incomprehensible” Reith Lectures), and retails some second-hand coverage of the early stages of the Oppenheimer trial (an article in Fortune magazine that was part of the witch-hunt). My impression is that he has vaguely left-wing sympathies and that he has a sort of feeling of guilt about having made the original bombs; and possibly his humanitarian instincts may have played some part in swaying his judgement towards a defensive rather than offensive strategy [ie radar early-warning systems rather than hydrogen bomb deterrence]. But I would consider it altogether unlikely that he should ever have betrayed any secrets – he was certainly most careful not to tell me any after the MacMahon [sic] Act was passed. This seems to have satisfied Churchill, although he passes the document on to his Foreign Minister and fellow confidant Anthony Eden: “This may interest you. Let me have it back”. So what does this tell us that is new? It should not be surprising that the Oppenheimer case was being carefully watched. Britain had its own nuclear troubles: cut out from collaboration with the Americans by the McMahon Act, Britain had had to launch its own crash nuclear weapon programme, one, as Ernest Bevin famously (and probably drunkenly) announced, “with a bloody Union Jack on it”. Furthermore, it had been revealed that the British contingent to the Manhattan Project had contained an extremely effective spy, Klaus Fuchs. There was good reason, beyond Cold War paranoia, to be watchful of security issues concerning scientists and the bomb.